I call it a Christine Tri-Fold Book :) The musical instruments and Holly and bows from the brand new Drummer Boy set were colored with Copic Markers, Evergreen, Fields and Water Collections, and then cut out with the Large Octagonal Nestabilities, and then adding the bows and holly popped up. Kaiser Rhinestones as accent. Lots more pictures at the Flourishes Newsletter too. For this card I took some great instruction from Valerie Stangle on how she made a vertical Z-Fold Card from World Cardmaking Day. She's so creative with her Scor Pal!! I love the different and classy look to this card! I watercolored and sponged the doves scene from the new Dove and Holly set in deep colors, Soft Suede, Bravo Burgundy and Always Artichoke. I did an-out-of-the-box cutting of the Doves with my Labels One Nestabilities. The embossed layer is done with the Finial Press Embossing folder, and I bordered the bottom with the Fancy Scalloped Pierceabilities, and the background paper is 7Gypsies Savannah. I LOVE how the Finishing Touches brads look on this card as the accents too. The sentiment is from the new Christmas Music set. The Design Team Girls have used their own Fancy Folds today so here's their links to check them out too! 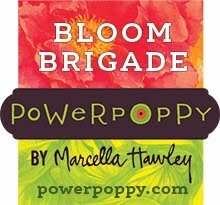 Flourishes Newsletter, Cindy Lawrence, Julie Koerber, Latisha Yoast, Leslie Miller, and Stacy Morgan. Z Fold Doves: Stamps: Flourishes Dove and Holly, Christmas Music; Ink: Black Stazon, Bravo Burgundy; Paper: Bravo Burgundy, Soft Suede, Flourishes European Watercolor Paper, 7Gypsies Savannah DSP, SU Thoroughly Modern DSP, Big Shot, Labels One Nesties, Finial Press Embossing Folder, Fancy Scallop Pierceabilities, Modern Label Punch, Oval Punch, Scalloped Oval Punch, Copper Finishing Touches Brads, Satin Ribbon, 1 3/8ths Circle Punch, Dimensionals. Goodness, these are beautiful! You must spend hours on these! Simply gorgeous! WOW! These are both amazing! I LOVE both the fold techniques and am BLOWN away by your coloring, esp on the birds-it's an INCREDIBLE work of art!!! GASP! I love the colors you picked for both of your creations and the second card -- too rich for words! Solid gold-- both of them! Thanks for the fabulous tutorial! Your instrument one and your fancy name hee hee.. It very fresh and perfect. Your second card is drop dead gorgeous... I love the colors and a fabulous fold. Thank you for a great tutorial! I love the card you made - its colors are so beautiful and the images you used work so well together! Both designs are perfectly stunning Christine! I agree with Julie on the second cards, your colors are fabulous! Your cards are AMAZING!! The folding on the first card is UNREAL!!! Thanks for the wonderful inspiration!!!!!!! Oh, my! Thank you for the extra photos of the second card. How lovely! It looks so very rich and classy with the 7 Gypsies paper. I just love your little book card, too! Now, that's a fun card to send to someone special. Would be great with photos, too. Wonderful samples, Christine! 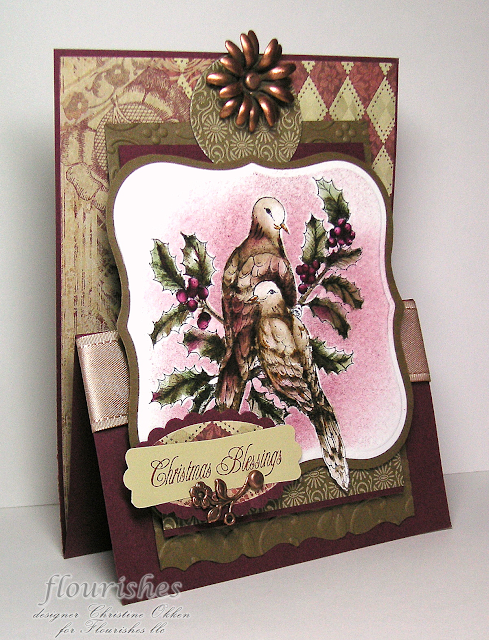 They're both gorgeous....but oh MY WORD, that holly and dove card just takes my breath away!! AWESOME!!!!!!! Totally awesome and amazing and gorgeous cards. WOW! I'm at a loss for words to describe your cards! Would "holy cow" work? Brilliant, striking, outstanding and I like them too! OMG, Christine...your three fold design is AWESOME...especially gorgeous with the beautiful colors, stamps, and details!!! Love the second design, too, with that fabulous Flourishes image and WOW, what outstamding coloring!!!! I have got to go check out your tutorial!!! 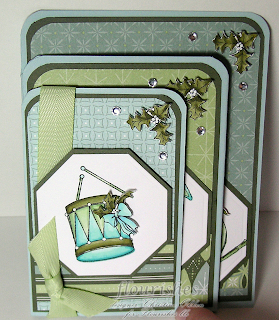 Both of your Fancy Folds cards are beautiful, Christine!! I love your Tri-Fold book with those pretty instruments, and the colors are beautiful!! Your Doves are gorgeous, and I love the rich colors!! I also love that you've changed the orientation of the Z-Fold for a different look!! Fabulous!! Happy Birthday to your daughter...mine is 13 too (makes me feel a little old lol). 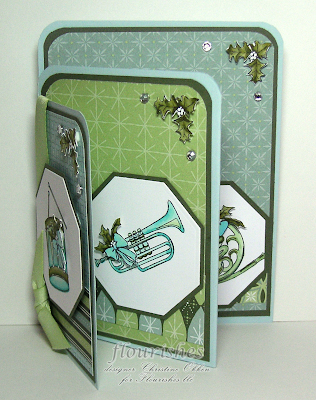 Christine, both of these cards are stunning, and your tutorial was wonderful as well!! 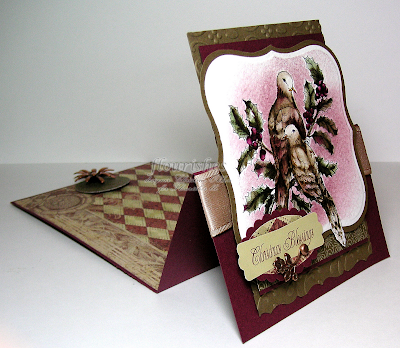 Christine, your card is so beautiful, and I love this cool fold! I'm off to check out your tutorial. Happy Birthday to your new tween! Yes, the years go by so fast! Our baby is 23 now. Oh my word these are both awesome!! The second card is incredible!! WOW!! 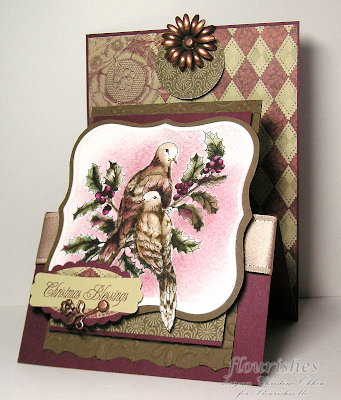 Your dove card is just GORGEOUS Christine!! Love the fun folds cards! My goodness! These are just spectacular!! You haven't posted in a couple of days...I came over to wish you a very happy birthday!! Hope you have a great one!! This is gorgeous, Christine! Your coloring and shading are fabulous! Hope your weekend is filled with wonderful celebrations! Wow! These are beyond gorgeous! I'm speechless! I especially love the second one... sooo classy! Great folds on both! Thank you for the tutorial! I am late in saying this thank you! But it was just in time for a card I needed and came out really well...one of the few cards I was happy with as soon as I finished it!